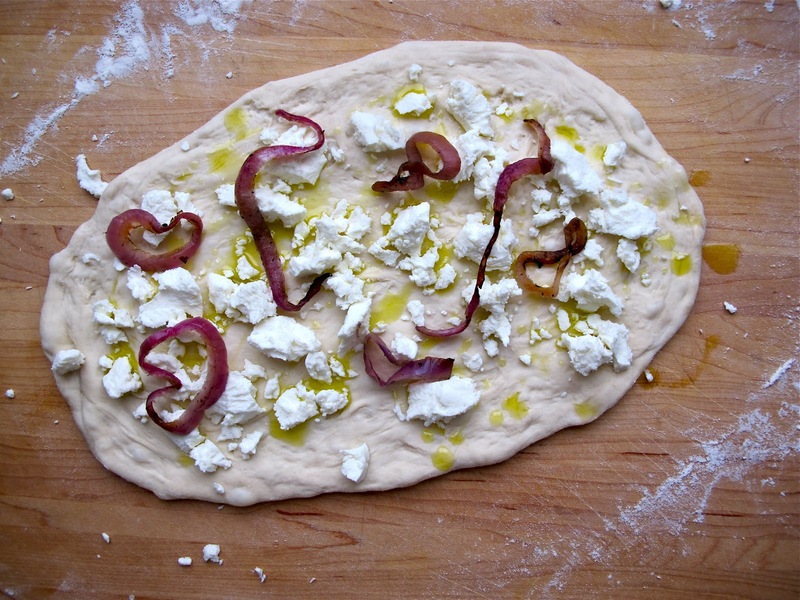 Chewy pizza dough, creamy goat cheese, sweet caramelized onions and tangy balsamic dressed greens... sound good? This is one of those easy dinners (or lunches) that will satisfy every craving and leaving you wanting nothing. Begin by turning out the dough onto a floured board. Form the dough (by stretching and pulling) into a disk. You can make it as thick or as thin as you'd like. 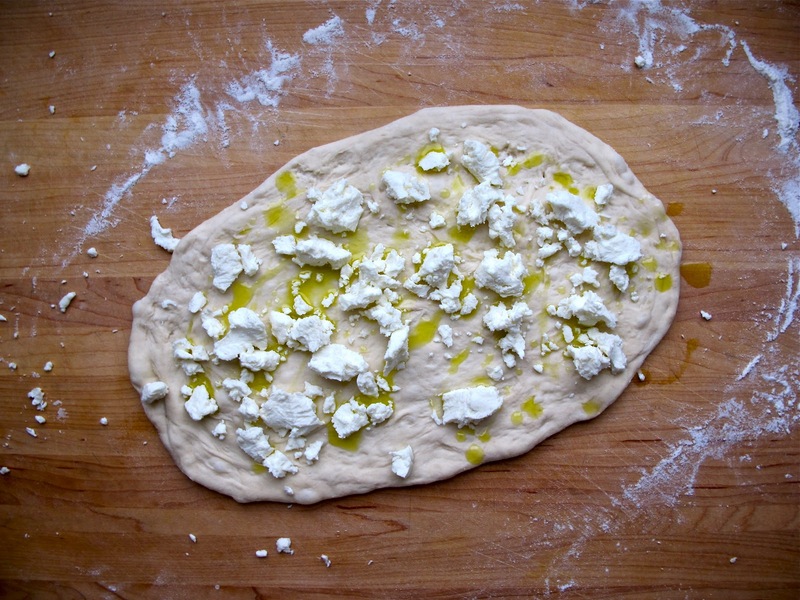 Crumble soft goat cheese over the dough. Add caramelized onions (I got these from our grocery store salad bar). Bake for 10 minutes at 425 degees. I like to serve this pizza with field greens tossed in a simple balsamic vinaigrette and parmesan cheese. Stir together olive oil, vinegar and herbs. Toss with greens and top with cheese. If you're feeling daring, serve the cold salad right on top of the hot pizza... trust me - it is good. One of my favorite combinations on pizza! yum! I made this with a Spin wheat crust and loaded it with fresh carmelized onions. It was delicious! Thanks for the inspiration. I often thought about making it but never did.